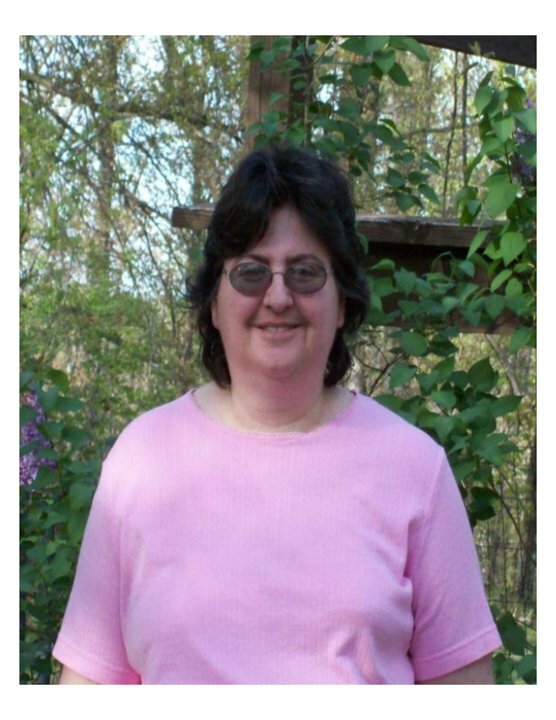 Annie Beiler is an Amish school teacher. She was in love with an Amish man, Luke Stultz, but Luke left the Amish community during his rumspringa, but not without begging Annie to go with him. Now Luke is back, trying to win back Annie’s love. Joshua Esh may be Amish, but he has been bitten by the travel bug. He sees the opportunity to relocate fromPennsylvaniatoMissourias a way to satisfy his longing to see another place yet remain with people of his faith. Josh quickly notices the beautiful Annie, but Annie is slow to respond. With Luke in the picture, and Josh’s admission that he willingly left his district, will either man be steady and dependable enough to win the gift of Annie’s heart? If you’d like a chance to win a free copy of Promised to Another, Laura has one little question for you to answer. Her hero, Josh, kept a big secret that came back to “bite” him. Post your answer and you’ll be entered to win a free copy. Drawing will be in one week, Friday May 4th. here’s the question: Have you ever kept a secret from someone and had it come back to “bite” you? Now I’m off the Good Shepherd bookstore in Berlin, Ohio for a book signing at 11:00. anybody in Amish Country today? stop in and say hello. on Saturday I’ll be at the Carlisle Inn in beautiful Sugar Creek. ahhhh spring in Holmes County…what could be finer? Dont’ forget to post a comment to be entered to win Laura’s book and happy reading!! What an honor and a surprise! Well my taxes are in the mail, and now I’m back to my life, hopefully. I have a wonderful bit of news. Last Saturday I taught a class on “Writing Amish Fiction for Today’s Market” at Wayne College, part of the University of Akron, here in Ohio. Afterward at the award ceremony, the college presented writing awards to high school, college, and regional winners in poetry, non-fiction and the short story. The final award of the day was the college’s Writer-of-the-Year for 2011-2012, which they presented to me. I was so shocked, it was all I could do to keep from crying on my way to the stage! I gave an impromtu speech at the podium, and I have no idea what I said. Thank you, Wayne College, for honoring me in this fashion. And also allowing me to teach on your lovely campus. Everyone have a lovely week! I’m back to work on Love Comes to Paradise, while enjoying spring in Ohio. A Blessed Good Friday to you all! I hope everyone is having a lovely Holy Week. We had dinner at our church last night that included communion at each table. It was lovely to break bread with others in this fashion. For Sunday the weather in Ohio is supposed to be lovely! I can’t wait to get to church and see everyone in their Easter finest!! Especially the little girls with their hats and pretty dresses. (Yes, I do listen intently to the sermon and sing loudly during each hymn, (even though I sound like a frog…) but I can’t help it. I love to see people dressed up on Easter Sunday. I remember a time when everyone dressed up every Sunday, but there I go again….showing my age! I am so excited! The wonderful folks at Harvest House have just sent me the brand new cover of my next book!! It will be first in the New Beginnings series about three sisters who leave Lancaster County, PA to start new lives in smaller Amish communites throughout the US. 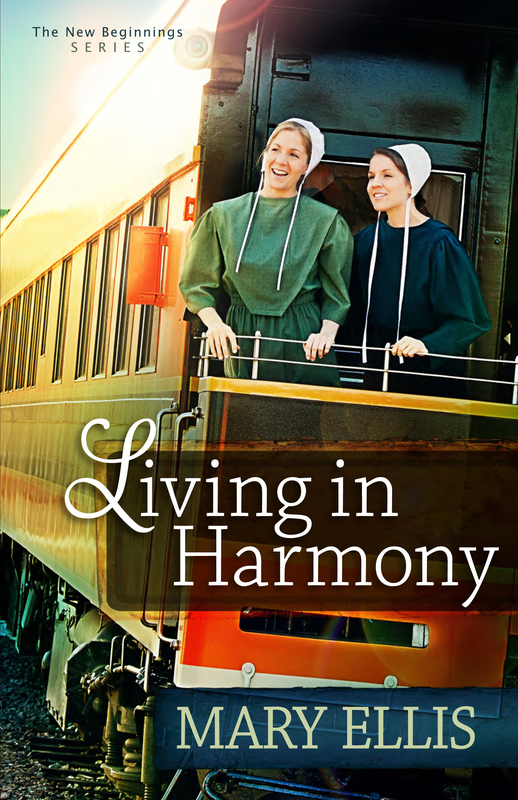 The first is set in central Maine, where I had the pleasure of visiting and researching during the summer of 2011 and it’s called Living in Harmony. What do you think? Did the cover designers do a super job of capturing their hope and excitement? Everyone have a lovely Easter. I hope my Texas readers are recovering from those tornados this week! Praise the Lord that there was no loss of life!!! Although the loss of property and mess to clean up simply broke my heart.